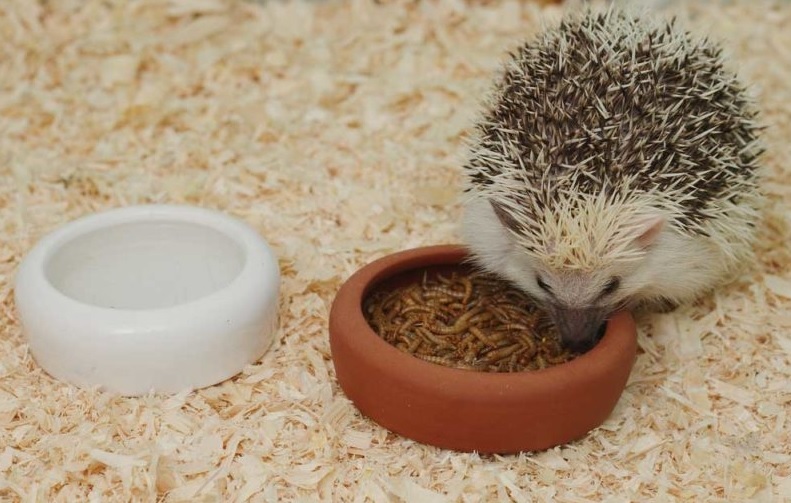 In their natural habitat, hedgehogs eat almost anything although they are considered insectivores. They can survive with almost anything that is available for them to consume while in the wild. When they eat insects, they gorged on the whole thing, including the hard exoskeleton of the insect. They do prefer softer bodied insects, such as centipedes and millipedes, even snakes, though. They are also observed to soft fruits, vegetables, even seed. But their small digestive tract is not designed to digest plant matters. Like us, these mammals need a combination of proteins, carbohydrates, fats, fiber, vitamins, minerals, and water to maintain their overall health. All too often when planning for our families in the case of a flood, we forget to have a plan for our pets. Unfortunately, if we don’t plan ahead for our pets, they may get left behind in case of a flood evacuation. Here are a few tips to keep in mind when putting together your pet disaster plan. Having a suitable carrier on hand is one of the most basic, yet most important, steps you can take for protecting your pet in case of a flood. Often, families are forced to leave their pets behind because they do not have a carrier to transport them in. A carrier can be picked up at almost any pet supply store, as well as large retailers like WalMart or Target. They are relatively affordable and an incredibly important part of any pet disaster plan. In addition to a pet carrier, have a pet care kit ready if you think a flood evacuation may take place. Be sure to include a bowl, pet food and extra water, as well as any medications your pet may be dependent on. If necessary, have a leash and collar on hand as well. Keep in mind pets that may not normally run away could react differently under the stress and may need to be leashed. If water rises quickly, keep in mind flood safety tips. Flood water that is shallow enough for an adult to walk in may carry away children and pets. It is not safe to drive a car through deep water. If your area floods, get to higher ground as quickly as possible and try to get in touch with a local rescue service. Depending on the area you live in, there may be a pet rescue service that can help keep your pet safe. Additionally, there are stickers you can put near the entrance of your home to inform rescue workers of how many and what types of pets you have. If for some reason you and your family are forced to leave your pets behind, something like this could help save their lives. Since our pets can become such a special part of our families, having a pet disaster plan in place in case of a flood is important and can save your pet’s life. Always keep in mind the importance of keeping your family safe and complying with local authorities in any disaster situation. Let’s assume you have a Bichon Friz at home and have decided to acquire another one as a companion. Here are some tips to help your dog get along with other pets. Before we get into the whys and wherefores, it is important to remember that any new member of the pet family will encounter a rigorous and sometimes jealous stance when a new pet arrives. If you think about it, some children who are presented with a newborn baby tend to become upset because they have to compete for attention for the first time. Your dog not only asserts his dominance as the alpha male, but may fight with the new dog; eat his food; and generally play in a rough manner. This is normal and should not be interfered with. The new dog will have to play a subordinate role until he is fully accepted by the alpha male. In order to keep things from getting out of hand, you might want to separate the dogs for a period of time. Your pet will know there is another dog in the home by his scent. Create an atmosphere that is conducive to them getting to know each other. When they finally meet, try not to favor your pet over the new dog. Treat them both equally. It will take time for the new dog to acclimate to his new surroundings, and it will take your pet time to acclimate to the new arrival. If necessary, keep the new pup in a kennel until they both become comfortable with each other. The same holds true for cats as well. Take your pet out for a walk. Let him know that you are still there for him and you have not changed his routine simply because there is another dog in the house. If he acts out against the new pup, call to him to come to another room. Play and interact with him. Use constant praise when he listens and offer a treat when he obeys your commands. Put out dishes of food and water for each dog, always giving preference to your older pet. Remember, he is the alpha male and deserves respect. This is more for the young pup that for you. Establish a routine that involves both pets. Try not to favor one over the other but treat them equally. If you give one dog a treat, ensure you give the other dog a treat. If you buy dog toys, they may fight over them for awhile until the new pup gives up. They’ll work it out. Do not feel you have to intercede in everything they do. The only time you should become involved is if they constantly fight. Eventually, a bond will form and they will become the best of friends. However, try not to leave them along for long periods of time, especially in the beginning. Are Discount Pet Medications Safe? Let’s assume your pet contracts tapeworm or any one of a host of illnesses that needs to be treated. Should you check online to find the appropriate medication? If you find a specific type of medication that seems a bit costly, do you look further to find a cheaper brand? Are discount pet medications safe? Due to the high cost of prescription drugs for humans, we are sometimes forced to purchase generic drugs to save money. Does this mean the drug is not as effective? Does it mean that it is less safe? With any drug, there may be side effects, but it doesn’t mean that it isn’t effective. Moreover, there are always safety factors to consider when taking a drug for the first time. Unfortunately for most of us, it boils down to trial and error. While there may also be cost considerations when purchasing medications for pets, do we use the same methodology in determining the effects and safety of discount medications? Certainly; and just as we consult with a doctor regarding our own health, we consult with a vet to ensure that the medications utilized are safe and effective at the same time. The question as to whether or not discount pet medications are safe is a valid one. If your pet becomes ill, the vet will prescribe appropriate medication. If the medication is too expensive, you have an opportunity to ask if there is a less expensive medication available that is just as effective and safe. It should be a medication that has very few side effects when administered over a long term. So what’s the point? Sometimes in our endeavor to help our pets when they are sick, we may think that by researching the various medications online and finding one that is not only appropriate but inexpensive; that we are saving money in vet bills and the more expensive medications the vet may prescribe. The problem is that every pet is different; that medications prescribed by a vet depend on age, breed, and weight. Can we honestly make the same judgment on what type of medication is best for our pet based on price? Do we want to take the chance that the medication chosen is the correct one? If we assume that discount pet medications are safe, then it would be perfectly fine to choose among the many online companies who offer these medications. The question is whether or not we, as pet owners, are qualified to make such a diagnosis and administer the medication to our beloved pets. If, on the other hand, a vet recommends a discounted medication; then it is appropriate to do so. Just as there are unscrupulous sellers throughout the world who sell prescription medications online that are tainted or consist of placebos, so too, shopping for discount pet medications without the benefit of the expertise of a vet can be a regretful experience. Talk to a qualified vet to determine what type of illness has befallen your pet and then discuss the medication options. Discount pet medications may be safe, but they may not be practical. As a piece of continuing efforts to support animals in need, the ASPCA Animal Poison Control Center plays a critical part in the ASPCA’s round-the-clock lifesaving efforts to promote pet health. The ASPCA Animal Poison Control Center is the most unique facility of its sort, dispensing emergency lifesaving advice to pet parents and veterinarians from throughout North America, and across the globe. Currently the support includes 28 veterinarians, a full many board-certified in toxicology, aided by dozens of certified veterinary technicians and assistants, together with students from the nearby College of Veterinary Medicine at the University of Illinois, where the call center began not quite 30 years ago. The ASPCA Animal Poison Control Center has a immense quantity of knowledge on a multitude of varying toxins. They counsel people who promote pet health and participate in pet first-aid classes to keep the animal poison control number (888) 426-4435, your vet’s phone number, and the local 24 hour emergency animal clinic information nearby. Because the animal poison control service is not funded by state or federal grants, as human poison control centers are, the ASPCA must charge a $55 payment to counterbalance costs in most cases. While it may appear like a lot of money, it may be the phone call that saves your pet’s life and keeps your pet healthy. The center provides you a considerable amount of follow-up and follow-through with both you and your vet. Here is a list of the common reasons for calls to the animal poison control center. Pet medicines, such as heartworm preventatives, arthritis relievers, and nutritional supplements. Chocolate – foods like chocolate can be toxic to animals, especially small pets. Home improvement products, including paint, solvents, and glues. Anti-Freeze – As little as one teaspoon of antifreeze can be deadly to a pet cat; one to two tablespoons can kill a 10-pound dog. The ASPCA Animal Poison Control Center maintains updated files exceeding one million individual cases and an constantly expanding catalog of more than 60,000 potential toxins, ranging from pills and pesticides to household cleaners and non-pet friendly plants. There noteworthy database allows the ASPCA to supply effective knowledge when time is critical to save your pet’s life.